The Partnership program is the most suitable program for schools that are looking to deliver tennis within their curriculum during class times and is focused on skill acquisition and learning the technical elements of the game. 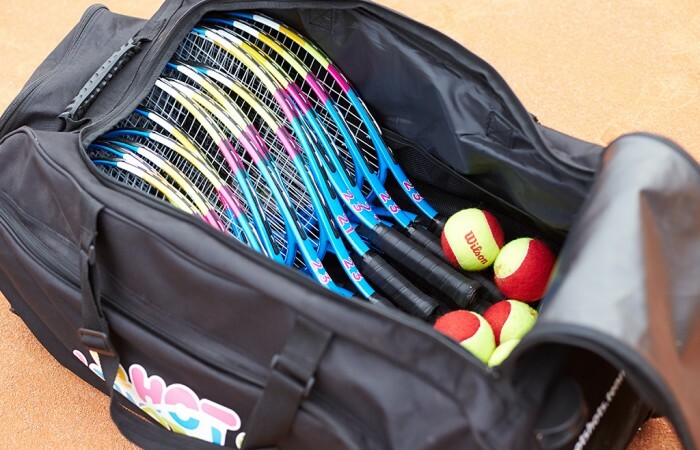 Schools who commit to the sport through placing tennis in the Health and Physical Education curriculum for a minimum of four weeks throughout the school year will be treated as an official deliverer of ANZ Tennis Hot Shots and in turn will receive program benefits for this commitment. The Tennis for Primary Schools resource has been developed to align to the Australian Curriculum: Health and Physical Education (AC:HPE) and has been endorsed by the Australian Council for Health Physical Education and Recreation (ACHPER). It is presented as a ‘best practice’ model that may be incorporated into the curriculum and appeal to the educative purposes of Physical Education. The resource addresses two strands, Personal Social and Community Health (PSCH) and Movement and Physical Activity (MPA) as imbedded in the AC:HPE and is underpinned by the Game Sense Approach (GSA). This approach uses scaled equipment which appeals to the principles of differentiated learning and inclusion which makes playing the game of tennis easy and fun. This educative approach to pedagogy, which is applied throughout this resource, has importance to the development of general capabilities in the Australian Curriculum and can therefore be delivered across all learning areas. Teachers may choose to deliver lesson activities that relate to the learning intentions and general capabilities that emphasise personal and social capabilities, critical and creative thinking, ethical behavior and literacy and numeracy. The resource supports a 21st century pedagogical approach that is current and provides user-friendly resources for both primary generalists and specialist Physical Education teachers at the Foundation through to Year 8 band. The resource also aims to support students with movement confidence and capabilities acquisition through structured and unstructured play. There is a particular emphasis on helping students understand the game of tennis as well as being able to play a variety of modified tennis games which are suited to the school environment. Commencing at the Foundation Year, there are five stages to the Tennis for Primary Schools resource. Foundation, Band 1 and 2, Band 3 and 4, Band 5 and 6 and Band 7 and 8. All stages support the five propositions as outlined in the AC:HPE including – take a strengths based approach, focus on the educative purpose, value movement, develop health literacy and include a critical inquiry approach and help develop game sense in students. The resource also includes assessment tools that attend to the achievement standards as outlined in each Band in the AC:HPE. To join the Partnership Program, please visit the Sporting Schools website, apply for funding and nominate tennis. 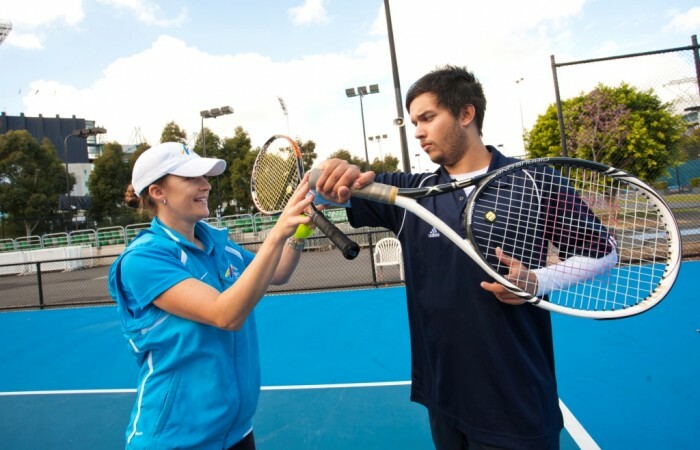 Once your funding is approved, visit the Sporting Schools booking system and select the Tennis Partnership Program (teacher delivered and coach delivered options available).